From 1st April our Board of Trustees are taking on a more operational role, supporting the Deki team with their expertise. Together we'll continue to empower people to work their way out of poverty. 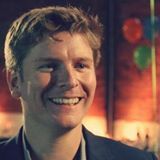 James’s expertise is in galvanising teams to scale businesses and make purposeful ideas happen. He first heard of Deki through a talk Vashti (Deki’s Founder) gave. He then lent his first £50 to Mr Banda and found the Deki model brilliant, one that he wanted to help grow as a Trustee. He sees Deki’s future being about building deeper connections with a few select field partners. Our aim is to work with communities where we can create the most impact, but not a dependency. Deki’s success should be the point where we can sustainably leave a self-sufficient community because of the support we have provided. Anand’s background is in leading business transformation and change programmes. He’s passionate about ensuring that everything 'digital' is done well - from digital marketing and user-led design through to the use of data to inform business decisions. In three years, Anand sees Deki extending its reach into many more in-need communities and ambitious entrepreneurs. Deki has established a way of connecting individuals and organisations in the UK directly with those in the developing world and with a determined team, he can only see Deki's role in bringing real opportunity and reducing poverty, expanding. Max has over 18 years of experience managing teams and leading the growth of micro-finance institutions, banks and development organisations. He was attracted to Deki because we shared the vision of providing people with access to opportunities to find themselves their way out of poverty. In three years Deki will be an efficient crowdfunding and technology charity intermediating financial resources to improve the livelihoods of low-income entrepreneurial individuals and their communities. Through a digital platform and financial services, Deki will be able to operate sustainably, contributing social change such as improved business development, decent housing, health and education. Vashti believes that businesses are integral to shaping a fairer, more sustainable future and is dedicated to helping businesses to put positive impact at the heart of their company culture. After seven years as Deki’s CEO, Vashti has then joined the Board of Trustees to continue to work towards a world without poverty. Now with a fantastic team of staff, volunteers and Trustees and more robust due diligence processes in place, Vashti sees Deki continuing to build partnerships with organisations with the shared mission of empowering communities to break the cycle of poverty. And the Board of Trustees agree - we have exciting times ahead of us.